Hat-tip to Marlon Samuels for coining Big Man Cricket, a term that really does sum up the might and majesty of the longest format rather well. First and foremost, make sure you watch The Great Neil Wagner, whether on live coverage or via the tiny five-minute highlights packages that get put out after each day’s play. England don’t play New Zealand very often – and even then not for very long – so this will be one of the few opportunities you will get to see him – and let us tell you that The Great Neil Wagner is full-on fascinating in every conceivable way. There are whispers that Stuart Broad might not come on for the second over and may instead appear for the seventh. This is of earth-shattering significance because ‘opening bowler’ is a key part of a cricketer’s identity. The corollary of such a move would be that someone else would of course have to bowl the second over. Who would that be? It seems a bit high profile for Chris Woakes, even though it would definitely be Chris Woakes. 3. Will Mark Wood play? Odds are that he won’t, but if Ben Stokes’ minor key back-knack keeps him from bowling then either Wood or Craig Overton may get a game. Hopefully Wood gets in because as we keep saying, he may never get another chance. 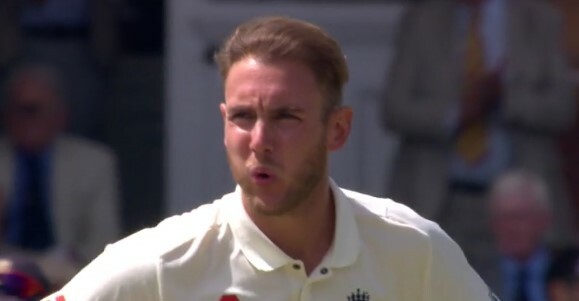 Stuart Broad reckons that walking around Trent Bridge indoor school listening to music has made him a good bowler again. We may be deliberately omitting some of the crucial aspects of this practice time, but the crucial question remains whether it was well-spent or not. For what it’s worth, he genuinely sounds like he might be quite enthusiastic about cricket, which would seem to us to be a good thing. We’ve actually reached a point now where we secretly want England to keep picking Vince and for him to keep edging to slip when seemingly well-set. Obviously it isn’t that fiercely-held a secret because we literally just wrote it down in the expectation that other people would read it. New Zealand’s opening bowlers know what they’re doing. What they will mostly be doing is almost exactly the opposite of what The Great Neil Wagner will be doing. Predicting that TGNW will bang it in short and get a 5-for from top edged hook shots. A bold prediction I know. Of course, when I made this prediction I should have added a caveat that I was assuming England would hang around long enough for him to actually bowl. Surely you typed it rather than wrote it down. I’m literally incandescent with rage at the marginal misuse of the “L” word. Obviously you have every reason to literally be fuming about this, Smudge. I’m with you 120%. QED. Well, this is going very well. And TGNW hasn’t even had a bowl yet. Another one while I’m typing. So, ODIs are the format that counts, right? Tests are yesterday’s news, it’s all about the World Cup? Pink ball tests don’t count for records and stats. I seem to remember that was KP‘s suggestion. Seems wise. Point 6. 27/9. This is nicely funny. Great to see the top and middle orders seeing the shine off for Overton. Should be looking at a good total now. What a scorecard to wake up to. TGNW didn’t even get a bowl. This is proper ‘English Cricket in Crisis’ stuff, all that talk of (The) Verve has somehow returned us to the 90s. To quote Private Eye’s handy reference scale of tabloid headlines, we may been on our way from ‘Root Master’ to ‘B-ROOT-AL HUMILIATION’, and at this rate ‘Root’s Vegetables!’ and ‘Change it, Root and branch!’ can’t be too far away. There’s a small chance I might be overreacting given the time of day. It’s 1999 all over again! Kane Williamson is certainly partying as if it were that particular year, daneel. At least it’s superior to the headlines that Bancroft is getting. Don’t worry. Great insight and brutal honesty from TB in the press conference: “we did not bat very well this morning”. I honestly care more about Scotland being denied a World Cup place in dubious circumstances than I do this. This I just find funny. It’s completely okay to treat Stuart Broad, Mark Wood, England’s opening bowlers, James Vince, and Tim and Trent as inanimate, but to refer to TGNW as “things” in your title is just wrong.